Probable Roman nummus of unknown issuer and date (c. 4th century AD). Obverse and Reverse too worn to decipher. 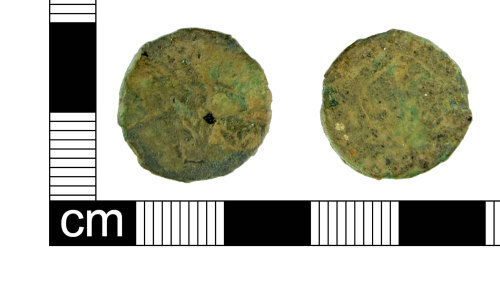 Copper-alloy Roman nummus of unknown date and issuer. Possible House of Constantine c. 4th century AD. Reverse too worn to see clearly. Roman coin of unknown issuer and date. Extremely worn, obverse shows bust facing right, other details too worn to decipher.